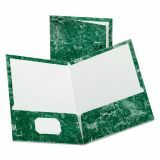 Oxford Marble Design Laminated High Gloss Twin Pocket Folder, 100-Sheet Capacity, Emerald Green, 25/Box - Back to school! 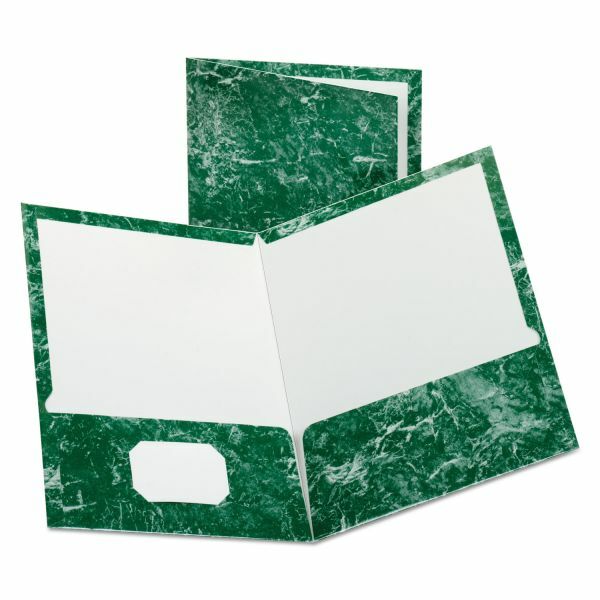 Letter-size portfolios feature an elegant marble design in high-gloss, laminated cover stock to protect your documents. Stock is acid-free. Left inside pocket has a die-cut, business card holder for a professional presentation. Generous twin pockets hold up to 100 sheets of letter-size paper and resist tearing.